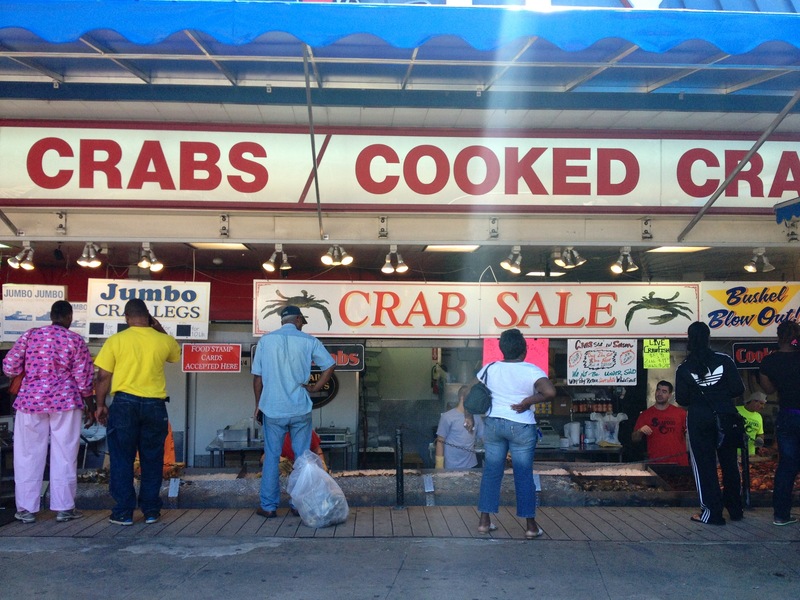 Home › D.C › D.C Has a Fish Market. Who Would Have Known? Actually, it seems everybody knew about it but me. It also has a wharf and marina. 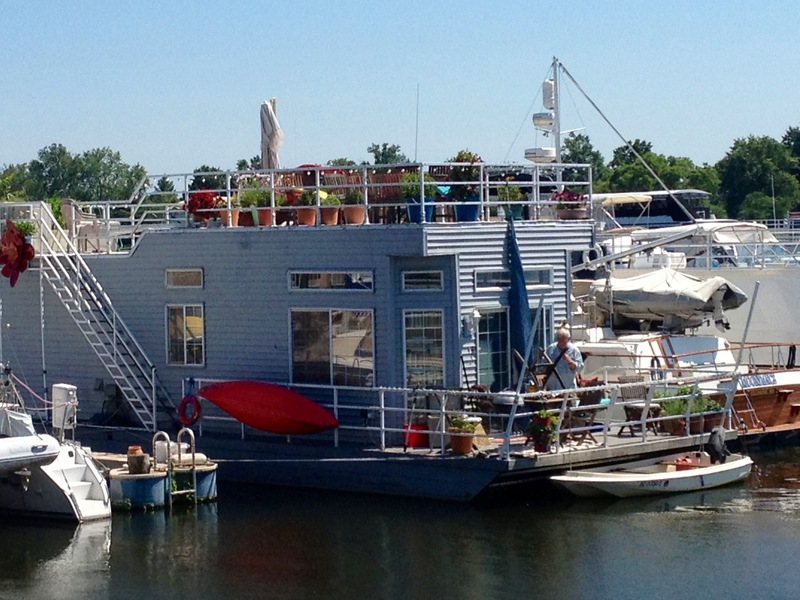 I knew about the marina because I always pass it on the way to my sister’s house, but the fish market was a fun and unexpected D.C discovery. 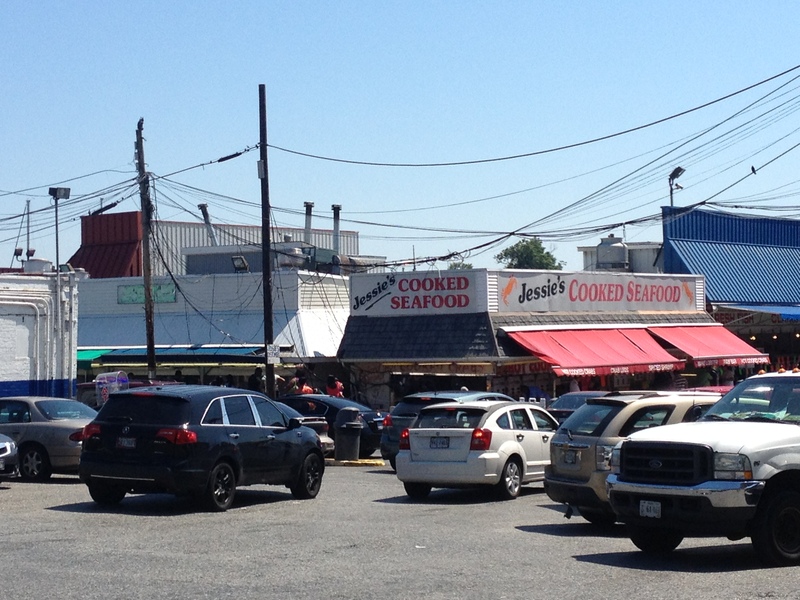 I’ve been wanting to visit this place (officially called the Maine Avenue Fish market) for several months ever since my sister described it as feeling “very un–DC, kind of like walking into a scene from a 1970s New England movie set.” I finally made my way out there yesterday and loved it. It’s so different from what a lot of D.C has become/is becoming. If you’ve been to a lot of outdoor markets in D.C or the suburbs you know these places tend to be quite…Patrician and aesthetic. I guess that’s a good way to put it. 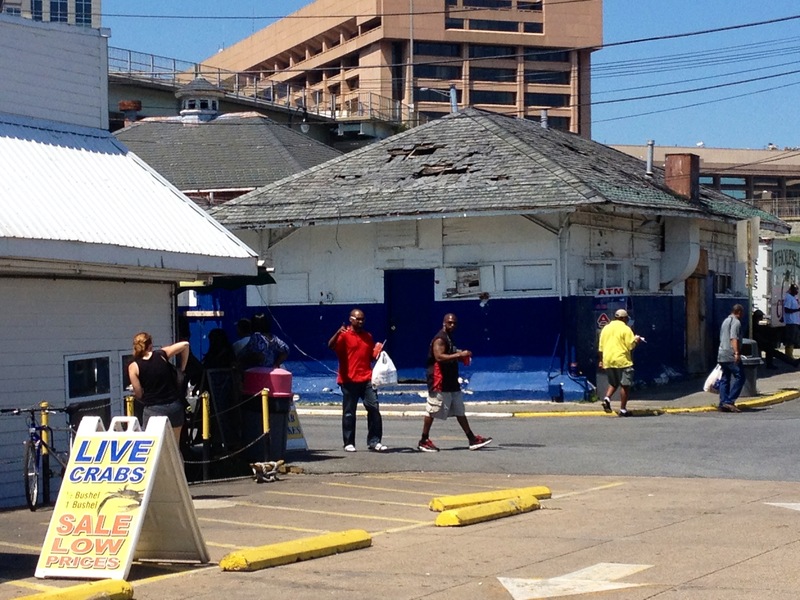 But the D.C fish market is grimy, gritty, smelly and unpolished — though this doesn’t translate into cheap. 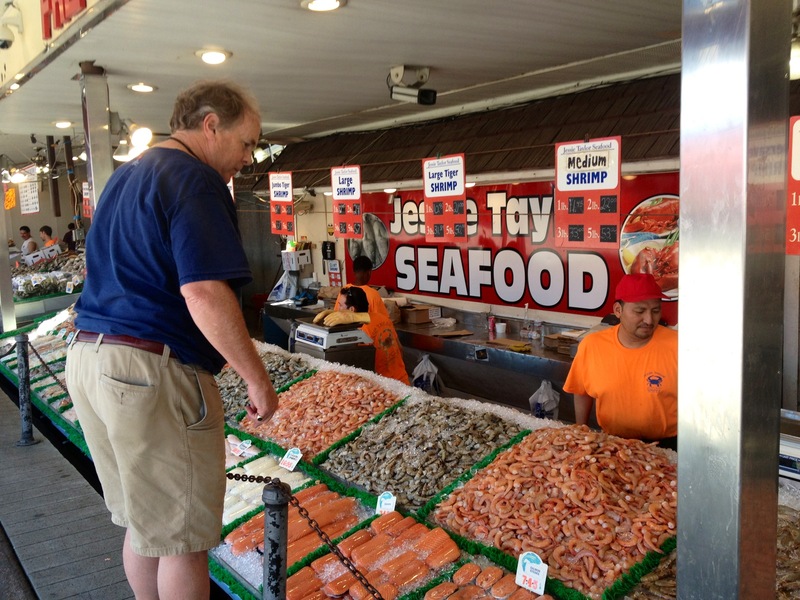 Like any other urban outdoor market, the D.C fish market is quite pricey. But looks-wise, this is no Georgetown Waterfront — the fish market and wharf feel authentic and edgy. The best way I can describe the feel and look of this place is to say that if Anthony Bordain ever did a D.C special (has he?) he’d probably visit the D.C fish market and I bet he’d like it in his own curmudgeonly way. The fish market feels wholly un-D.C only if you’re used to Eastern Market and other northwest or suburban farmer’s markets (which I was), but it’s actually more D.C than any of these: It’s the oldest continuously operating fish market in the U.S and dates back to 1805, older even than Eastern Market. I was by myself so I just walked around and took some pictures, but I hope to come back here for a good bowl of clam chowder on a cold, gray, drizzly morning sometime next winter because I think that’s perfect fish market weather. If I remember correctly, the market is open 8am to 9pm everyday of the year and L’Enfant was the closest metro station, about a 10 minute walk away. Parking here is limited — I went on a Friday afternoon and the parking lots looked mostly full, so I can only imagine parking is even harder to find on weekends. 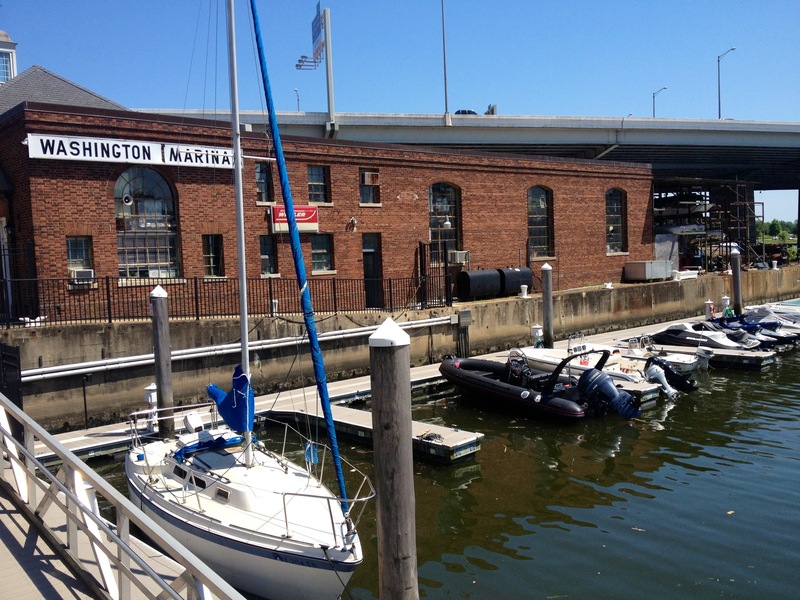 While you’re here, you might as well check out the wharf and marina. There are a number of seafood restaurants on the wharf (though I can’t really attest to quality and value) and some cool boats worth looking at in the marina. 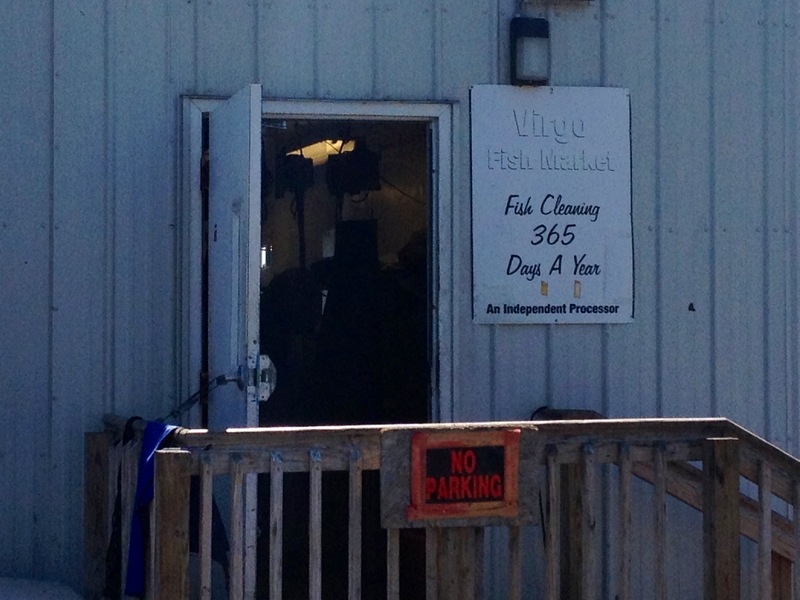 In case you need your fish cleaned and filleted (is that grammatically correct?) this place will do it for you. Parking at the D.C Fish Market. 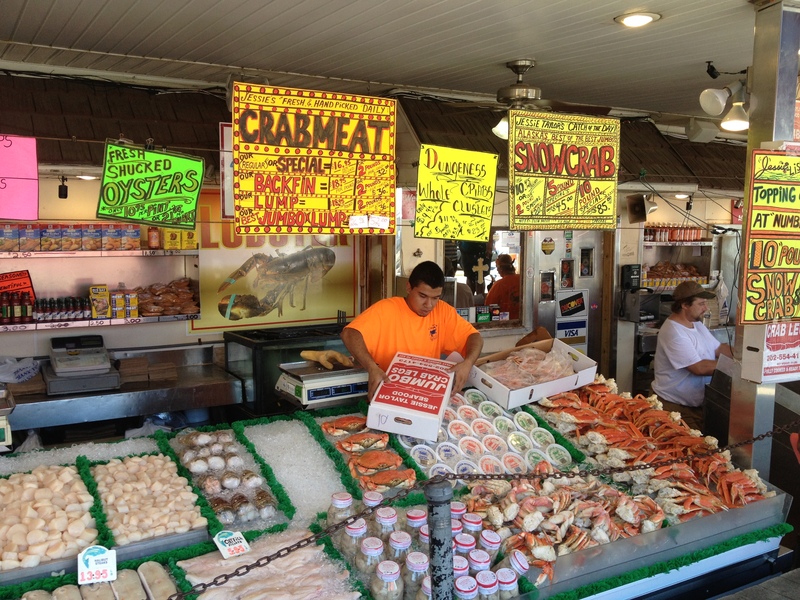 D.C Maine Street Fish Market. To read more about my adventures in D.C click here. Thanks! It was really neat. I never try to park at the market. You can usually find parking on the street nearby. Oh really? Is it relatively easy to find? Unless they’ve changed it, there is metered parking on Maine Ave. and Water Streets (which border the restaurants). The Arena Stage is right around the corner on 6th street. Great! Good fact to know! Anthony Bourdain did go there! I’ll have to watch the show!! I used to work, literally right across the street from this fish market, at the Department of Agriculture building that’s there. Was there for two years as a contractor. Hi Michael, thank you for your comment and for visiting my blog!